Revel in me...: The Art of Pouring. I shop way less nowadays, but when I do buy something, I make sure it’s something I will/can reuse for a long time, and thus, I don’t mind paying a little more for quality! Let’s take a tour today of some quality buys in my wardrobe, shall we. Alexander Wang pony hair wedges. 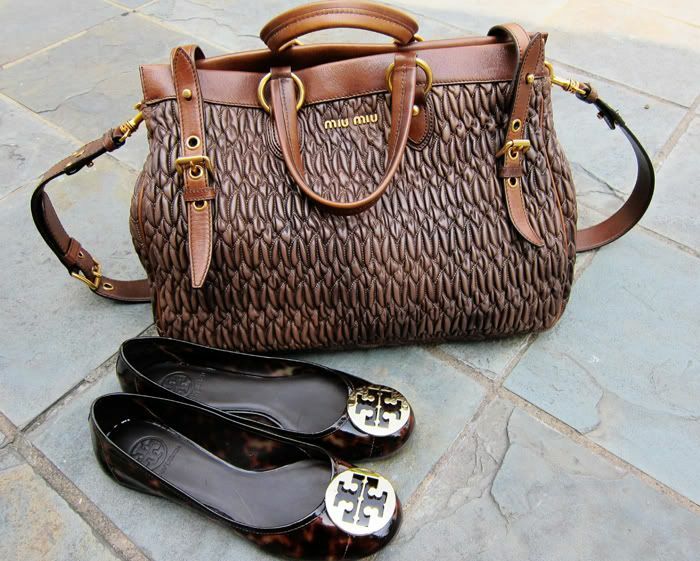 Miu Miu tote and Tory Burch flats. 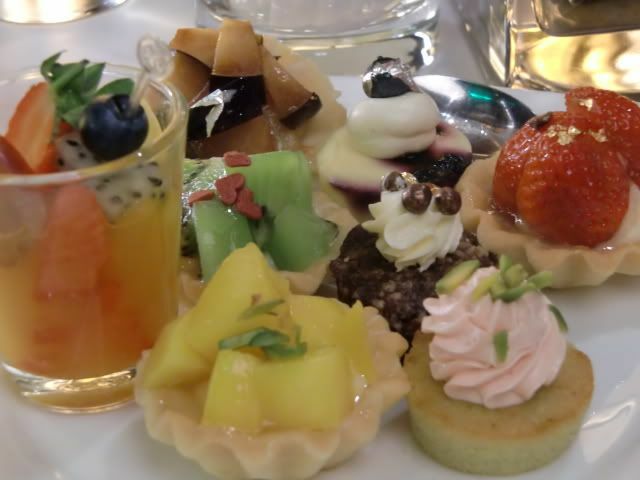 I’ve mentioned numerous times that as I grow older, quality becomes increasingly important to me. Well, guess what. I am not the only one! Heineken, synonymous to unmistakable quality that has been enjoyed throughout the world since 1873, has recently developed ‘The Art of Pouring’ programme to reflect its promise of quality. With a tagline “The only reason for ordering a second beer is the quality of the first one!”, the programme promises consumers nothing but the perfect pint of Heineken every single time! 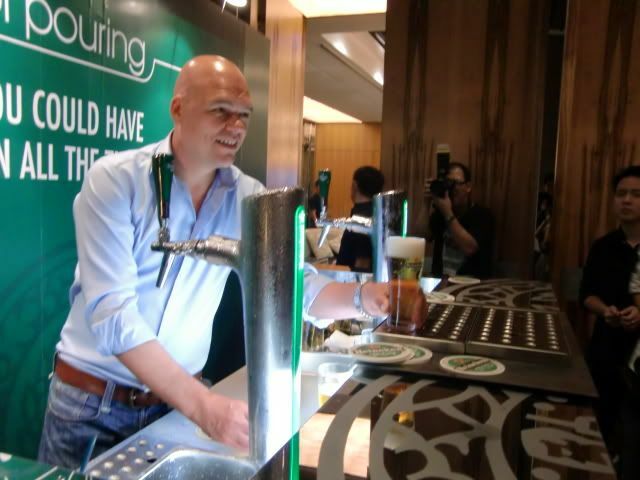 Last Thursday, Malaysia’s first ‘ The Art of Pouring’ workshop was conducted , whereby Franck Evers, Heineken’s Beer Craftsman from Netherlands, showcased the art of pouring a perfect Heineken pint. 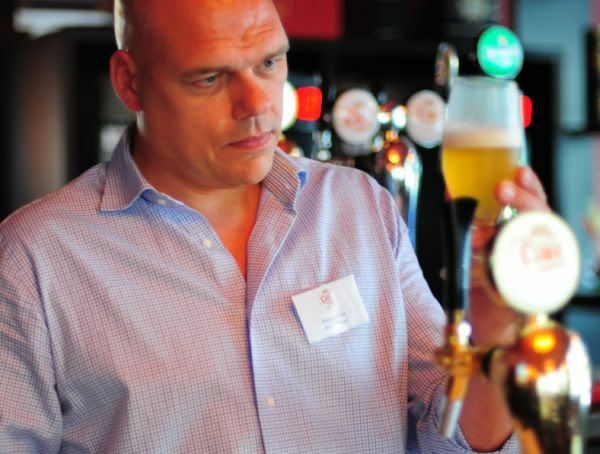 I know, I know, Franck Evers looks a little like a mad scientist in the picture, but that is only because he is chasing ultimate perfection in each pint of beer that he pours! Franck found his true calling when he met Mr. Freddy Heineken (grandson of Heineken’s founder) about 15 years ago—which is to practise the art of pouring beer. 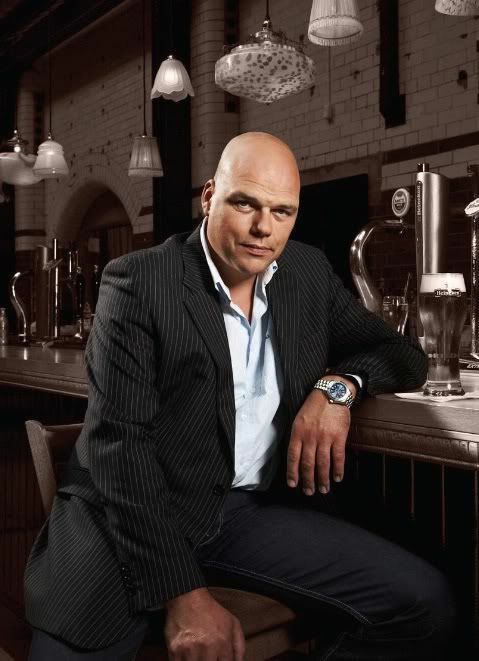 Since then, he has been travelling the world-- training bar staffs and beer drinkers around the world on pouring and serving the perfect Heineken pint. Hence, the workshop provided a rare opportunity for beer enthusiasts and bartenders to witness the true master working his magic! 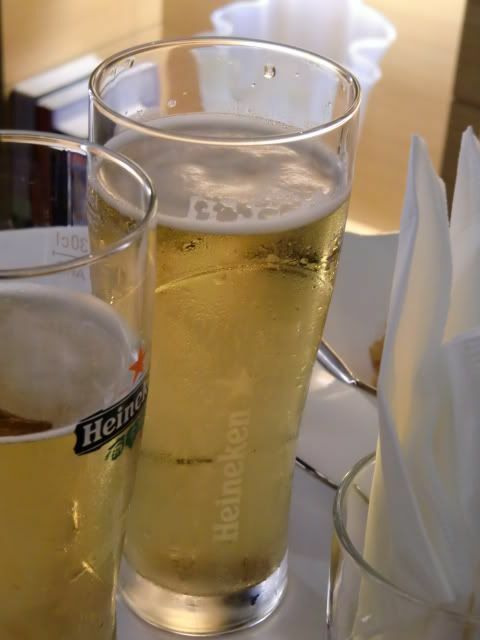 A perfect pint of Heineken to quench the thirst. Not that foam is bad! Some interesting facts and mythbusters I learnt that night is that the foam is actually a very important part of your beer. A lot of people always complain about their beer having too much foam, but the foam serves as a protective barrier to keep the quality of your beer intact! 1. Rinse- Rinse the glass in cold water before serving. And never dry with a towel as it leaves fibres behind! 2. Pour- Pull the beer tap in one quick motion. Let the build-up of carbon dioxide escape, control the flow of the beer and then let it spiral into the glass which is tilted at 45-degree angle. Then close tap in a quick motion when the foam reaches the top of the glass! 3. Skim- Remove excess foam with a wet skimmer (held at a 45-degree angle)-- this leaves a thin layer of water over the foam which protects it from oxidizing. A perfect two-finger thick head of foam ensures that the beer stays fresh and cold for longer keeping it from going flat! 4. Serve- Serve quickly with a smile! The way Franck poured the beers, he made it seem so easy! But via demonstrations from members of the audience, there was obviously a lot of effort and practice that goes into the Art of Pouring. Did you know that the standard of perfect foam is that the level of the foam rests on the shoulders of the Red Star? The workshop is just the start of an exciting new campaign, ‘Be a Man of the World’. With this new campaign, Heineken aims to bring a world of opportunities its consumers, a world where anything is possible through its promise of quality, internationalism and innovation. To be honest, I can’t wait to see see what Heineken has up its sleeves. Like they say, open your mind to the world of Heineken where anything is possible! You and your sister Jing are both very obsence taking every opportunity to show off the branded stuff you own or your mother's. Its so distasteful! Know what's humility? anonymous - know what's freedom of speech? don't like then don't read la hiuh. might wanna learn to spell too btw. 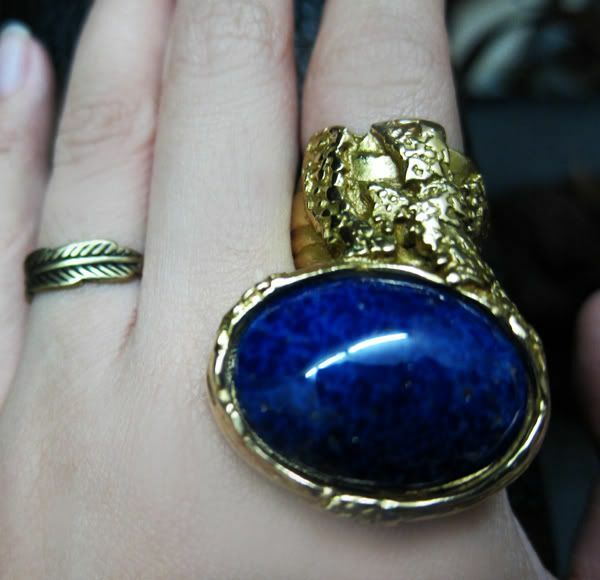 Anyways,i believe humility encompasses much more than simply hiding designer goods donned! to the Anonymous,ever heard of the phrase "If you've got it,flaunt it"? u sound so jealous ppl can afford branded stuff and u dont.